Nobody cares mate, get a grip. Not a single f**k given. Pains me to say it, but Hurlford are looking good although, Kierans got Bankies playing well, but I'll go for the money men to shade it! Only seen Hulford once this season. They are a strong physical team, one weakness IMO , is when a player runs at them on either flank. Cannot really comment on who will win, for the good of the league I would prefer Hurlford not to win. 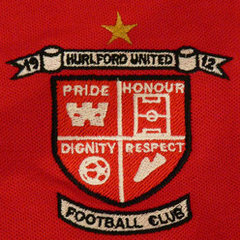 Seen a few Hurlford games this season and agree they are a strong team. Was impressed by their defence Mckillop and Robertson and full backs Byrne and Hodge who can defend and help in attack. Wee McKenzie too for Hurlford is a danger man but should be a good one.I actually don’t think Lok have beaten Hurlford at all in the league since they came into the premier league!! Will all depend on whether Hurlford fans turn up on a tandem or not. Much as I wish it were true, you pumped us 2-0 (going on five) last season at Newlandsfield. 4 Ford wins and 3 draws in the other 7 league games in the top division (or any division for that matter). It didn't always feel comfortable, but we were very good today. Ford dominated the first 25 minutes with Clydebank occasionally dangerous on the break through Little and Shelvey. Bankies then had their best spell and two top class saves from Ally Brown kept the visitor's goal intact. Ford finally scored after intense pressure in the 44th minute thru Ross Robertson. Second half was more even and as said above Bankies hit the bar almost straight from kickoff. Hurlford had lots of chances to extend their lead, but the post, poor finishing, two goal line clearances and a decent goalkeeper thwarted them. Delighted with three points today. More visitors will lose to Clydebank than go home with three points IMO so it's a great result for us and probably our toughest match so far. Yup three points Hurlford home game lol . Very fair assessment and I thought we were very lucky to be only one down at HT although the couple of chances we had in the first half should not have given the keeper any chance to save them. Apart from hitting the bar in the second half for all our pressure I can't remember your keeper making a save which is disappointing. Really impressed by Hurlford today although at times not pretty to watch but the front 2 hold the ball up well and the support and movement from the midfield was the difference and as I said deserved more before the break. Thought we gave it all today without really threatening in second half and was a real shame Shelvey got the knock as he had the beating of your defence. Good luck for the rest of the season! There was only one team in it in the first half, thought the second half performance was much better and could have maybe got a draw on another day. Hurlford very well organised and the two up top will give anyone problems. Hurlford look to be a cracking side. We were unlucky not to take something from yesterday but that’s fitba, canny win them aw.